Why did my Doctor ONLY Tell Me About CPAP? – What's in Your Mouth? This is a common question when patients realize there are also custom made oral appliances that can be equally effective. CPAP is the most common treatment for obstructive sleep apnea (OSA) prescribed by medical physicians everywhere. Continuous Positive Airway Pressure (CPAP) therapy is a machine that keeps your airway open by providing forced air through flexible tubing. CPAP therapy requires you to wear a mask as you sleep. Although CPAP therapy is effective, some people are unable to adhere to it. Many people like an oral appliance better because it is comfortable, quiet, portable, easy to wear and convenient to travel with. For that reason, dentists have been developing the practice of Dental Sleep Medicine for more than 25 years. Worn only during sleep, an oral appliance fits like a sports mouth guard or an orthodontic retainer. It supports the jaw in a forward position to help maintain an open upper airway. Back in the 1990’s, CPAP was the only treatment medical physicians had, short of surgical options. CPAP was considered the gold standard of treatment. Unfortunately, while CPAP was effective for patients in the sleep lab, patients weren’t exactly excited about it when they got home. In fact, 50% of all CPAP-prescribed patients don’t wear their treatment device for a myriad of reasons. That’s millions of OSA diagnosed, sleepy, at-risk people going without treatment! For this reason, oral appliances began to take preference positioning with patients and their families. Naturally, the medical community was hesitant to embrace an oral device. In fact, insurance companies would not allow the coverage of an oral appliance without first using the CPAP for a minimum length of time and then and having to prove failure to respond or an inability to wear. But after 10 years of appliance improvements and positive research results, the medical community began to take notice. In 2005 a milestone was reached when the medical sleep association, American Academy of Sleep Medicine, published its practice guidelines that were updated to state that patients with snoring or mild to moderate sleep apnea could now choose between CPAP or an oral appliance as a ‘first line of defense’. In other words, patients could choose to try an oral appliance first, over CPAP, if they wished. Fast forward to 2015 and many studies later, oral appliances have also shown to be effective in severe OSA as well as proving useful in combination therapy (CPAP together with an oral appliance). Consequently, oral appliances are much more widely known and used by patients today. Some medical physicians are very supportive of oral appliance therapy and work closely with their referring dental team. But most oral appliances are being provided because patients have been informed by their dentists, not their medical physicians. So, why did your doctor only tell you about CPAP? Because they are medical physicians and by and large provide their patients with the treatments they are familiar with. They are not accustomed to referring a patient with a medical condition out to a dentist, even though that may be a better option. But many of today’s patients are more aware and informed than ever. They are taking more control of their medical outcomes, often informing physicians of recent developments they’ve read about or are directing their own treatment options. If you’re one of those patients, a quick internet search will yield a large and diverse selection of oral appliances. Appliances are different because patients are different. But a better search would be to visit the AADSM website at www.aadsm.org. The American Academy of Dental Sleep Medicine’s website has a search engine for patients to find dentists who specialize in oral sleep medicine. They also note the Diplomates. Dentists with Diplomate status are dentists that have proven to have wide experience and knowledge through rigorous study and examination. If you are diagnosed with OSA, you have the right to ask your medical doctor for an oral appliance, even if he suggests a CPAP. Or, if you already have a CPAP and an accompanying diagnosis, you can ask your dentist for an oral appliance. Dentists cannot render a diagnosis for OSA. Only a medical physician can determine if you have OSA and provide a diagnosis (this is also a requirement for insurance coverage of an oral appliance). Dental insurance does not cover oral appliances for the treatment of OSA. Only medical insurance and Medicare does. The most effective appliances are custom fabricated, supported by clinical research and are FDA registered. More than 100 oral appliances have received FDA clearance. You should ask your dentist to provide evidence that the lab he uses has Certified Dental Technicians (CDT) on staff. You should ask your dentist about where your appliance was made. Some labs send their appliances to be made offshore and may have less quality and safety oversight than appliances made in the USA. By law, laboratories must tell their dentists if they are outsourcing offshore. The same is true for materials used. You should ask your dentist if they know what materials have been used in the product and if the materials are FDA accepted. If a dentist is unsure of this information, he can check to see if the lab is a Certified Dental Laboratory (CDL) or if they are DAMAS. These certifications assure that FDA guidelines for product safety are being met. More information on CDTs, CDLs and DAMAS labs can be found on the National Association of Dental Laboratories’ website (www.nadl.org) and the National Board for Certification in Dental Laboratory Technology’s website (www.nbccert.org). They also have a registry of labs with these designations. Whether you are being treated with a CPAP or an oral appliance, maintaining a regimen of therapy can help you feel like a new person. You will find that your symptoms and your quality of life can improve dramatically. More oxygen will help you to sleep better, have more energy and feel sharper throughout the day. You may even find that your bed partner begins to sleep better, too! With the help of your dentist and lab technicians, you can improve your sleep, your relationships and your health! Laura Sheppard is the owner and managing member of Device Masters Dental Laboratory in Traverse City, Michigan, providing devices for dental sleep medicine, TMJ dysfunction and orthodontics. A practicing dental technician since 1979, Laura holds an Associate’s Degree in Dental Technology and a Bachelor’s Degree in Allied Health Teaching. She is certified in Orthodontics, Crown & Bridge and Complete Dentures. Laura spent many years as Director of Training, Quality Systems and Regulatory Affairs. She has earned multiple DAMAS lab certifications for conglomerate laboratory companies, successfully coached many technicians to achieve certification and was instrumental in the invention, patent and 510(k) submission process of several successful proprietary Class II medical devices. Laura has been manufacturing dental sleep devices since 1988 and has been an active participant with the AADSM since 1991. 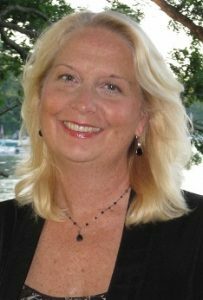 Laura currently serves on the NADL Board of Directors and is the Past-Chair of the National Board of Certification. In 2011, she was named one of the Top 25 Women in Dentistry by Dental Products Report. Laura lectures for both, the dental practitioner and dental technician communities, and is well published having written numerous articles for JDT, IDT, DPR, DLP, LMT, DSP and Sleep Review magazines.